Synthetic underlayment to meet any sloped roofing requirement. System Components offers a full range of superior synthetic roof underlayments that exceed industry standards and code compliance in commercial and residential sloped roof applications, including asphalt shingle, synthetic shingle, cedar shake, metal, and tile roofs. Our products are engineered with unique design properties and durable construction which simplifies installation and improves the performance of any sloped roofing system. FelTex – The original, with a lifetime warranty. Ideal for asphalt shingle, metal, tile, and slate roofs. CoverPRO – Available in multiple performance grades and warranty options. Ideal for asphalt shingle, synthetic shingle, cedar shake, and metal roofs. QuickSilver – New Cutting-edge performance with a lifetime warranty. Ideal for tile, metal and other durable roof systems. FelTex and CoverPro also include a Peel & Stick Self-Adhered option. 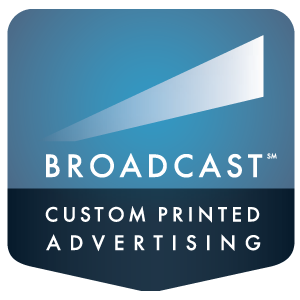 BROADCAST offers vivid, multi-colored, and multi-messaging advertising options. Click here to learn more of the creative ways roofers, builders, building owners, contractors, and developers are turning their roof underlayment into a powerful advertising and lead generation tool.